The Officers listed below were elected as of Jan 8, 2019. 1)?The monthly YCAA Board of Directors meeting is held the second Tuesday of every month, when necessary Special Board Meetings maybe scheduled with proper notice. The written notice of public meeting and meeting agenda is required to be posted in the glass bulletin board outside the Airport Administration Office on the 2nd floor of the airport terminal located at 2191 East 32nd?Street, Yuma, Arizona. The public notice and agenda is required 24 hours prior to the scheduled meeting and any changes shall be made prior to this time. If you have any questions, please contact the Airport Administration Office at (928) 726-5882, Monday through Friday between the hours of 8 AM to 5 PM. 2)?The YCAA Committees meet when necessary, and written notice of any YCAA committee meeting as well as the agenda are posted in the bulletin board outside the Airport Administration Office on the 2nd floor of the airport terminal located at 2191 East 32nd?Street, Yuma, Arizona. The public notice of committee meetings and agenda shall be posted 24 hours prior to the scheduled meeting and any changes shall be made prior to this time. If you have any questions, please contact the Airport Administration Office at (928) 726-5882, Monday through Friday between the hours of 8 AM to 5 PM. 3)?Click Here?to see?Minutes?from previous Board meetings. 4) All Airport Board and Committee meetings are conducted in accordance with the Arizona?Open Meeting Law. Please contact us if you have any questions about the requirements of the?Open Meeting Law. ?Yuma is in the midst of growth with opportunity. As a growing community, the airport will be a major factor in positive and organized growth. It is important to me to be involved during this time of growth.? 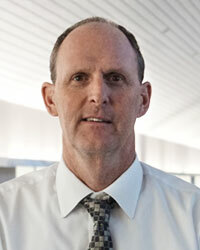 Mr. Rice has served on the Yuma County Airport Authority from 2002-2009 and rejoined the Board in January 2011. In January 2015, Mr. Rice was elected to serve as the Airport Authority President. He is currently serving his fourth year as the President and truly enjoys encouraging growth of the aviation community within the Yuma Community. Mr. Rice attended Arizona State University where he received a Bachelors of Science degree in Business. Before retiring he owned several companies in Yuma ranging from ice distributor, home inspection services, janitorial cleaning and supply, and over 20 years in agricultural business to include farming. As a long time resident, Mr. Rice has served and been involved in Yuma County since 1963. With his extensive knowledge and background in business, agricultural, investments, personnel and sales management Mr. Rice provides a solid foundation and key skills to assist with direction and Board management during the decision making process for the Airport. President Rice is known for being a strong leader who would not ask his team to do something that he was not willing to do himself. This and his love for flying made him a natural for serving on the Board of Directors at the airport. Mr. Rice is proud of the improvements the airport has made to attract and accommodate the aviation industry and is excited to be a part of it. He understands the impact and influence the airport has through military installations partnerships, general aviation, commercial air service, and its essential role in transportation necessary to help Yuma grow. Mr. Rice owned aircraft throughout the years and held a single engine rated private pilot license. Although he no longer flies today, you can always find him with an aircraft buyers and sellers magazine admiring the beautiful planes on the market. While he misses flying, the time is now spent chasing his wonderful grandchildren, golfing, hunting and traveling with is lovely wife Helen. The Board and airport team is appreciative for the leadership and commitment President Rice shows and provides to serve our community. Mr. Gardner has served on the Yuma County Airport Authority from 2007-2015 and rejoined the Board in January 2017. In January 2018 Mr. Gardner was elected to serve as the Airport Authority 1st Vice President. He is active in the General Aviation community, is an avid aviator and flies an RV-10. 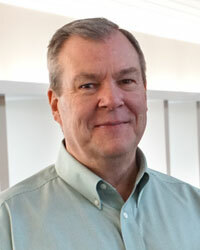 Mr. Gardner is a retired electrical engineer of Ford Aerospace, RCA and IBM. He obtained his Master's degree in Business Administration from the University of Maryland. He obtained his Private Pilot Certificate in 1968, and his Commercial Certificate & Instrument Rating 1971. Mr. Gardner is a member of the local chapter of the Experimental Aircraft Association and a member of the Aircraft Owner and Pilot's Association. "Airports are necessary for tourism and for the economic well-being of the community." Ms. Morgan began her term on the Board of Directors in January 2014. 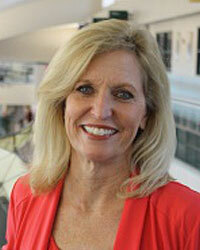 In January 2018 she was elected to serve as the Airport Authority 2nd Vice President. Ms. Morgan has a BS degree in Public Relations, a Minor in Business from Northern Arizona University and Masters in Global Business Administration. Ms. Morgan is the Executive Director of the Yuma Visitors Bureau and is responsible for promoting Yuma as a destination site, highlighting the rich diversity of Yuma County and its wonderful history. She is a member of the Yuma Executive Association, the Greater Yuma Economic Development Corporation , the Yuma Chamber of Commerce, the DMA West and is a founding member of Yuma 50. Ms. Morgan joined the airport to give back to the community and to be more involved. Ms. Morgan brings years of experience to the Board including solid fiscal planning, crisis management, marketing, team building, communication, ethical business practices, and leadership. Being active with several community Boards as well as her background in the transportation industry in for profit and non profits organizations, Ms. Morgan provides the necessary insight to help the Airport reach goals of better air service, aviation support and success of the businesses within the airport structure. Serving in her leadership role at the Yuma Visitors Bureau she understands tourism is a driver that is important to the entire Yuma community and that airports are important to leisure and business travelers which drives business throughout Yuma County. Ms. Morgan is interested in seeing the services at the airport grow in Yuma to further economic development goals and better support the industry we currently have. She is excited and motivated to be a contributing factor to a fantastically run organization, the opportunity for growth, and to make a difference. When not busy with her professional career or organizations, Ms. Morgan enjoys spending time with her family, hiking, camping and reading. 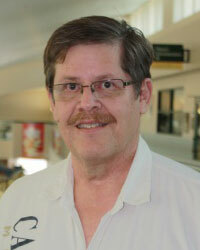 "I look forward to expanding my airport management skills and be more involved in this awesome community. My interest on the Board is to better promote Yuma and aviation." Mr. Saltzer is a life long resident of Yuma County and joined the Airport Authority Board in January 2015. In January 2018 Mr. Saltzer was elected to serve as the Airport Authority Treasurer. He has been in and around aviation his entire life and is the owner the family owned Somerton Airport which supports General Aviation, holds monthly BBQs and Experimental Aircraft Association picnics. Mr. Saltzer joined the Board to expand his airport management skills and to be more involved with the promotion of aviation in the Yuma community. When not busy with managing his airfield, Mr. Saltzer enjoys his time being surrounded by his daughter, family, participating in off road sports, watersports, volunteering with the MCAS Sonoran Recovery Team, or in one of his international motor cross races. Mr. Saltzer's practical, easygoing attitude and enthusiasm are just a few of the strengths he brings to the Board of Directors. His integrity, commitment to customer service and ability to face and overcome challenges will be a valuable attribute as the airport continues to grow. Mr. Saltzer holds a Bachelor of Science in Biology and Ecology, a private pilot's license and had previously worked on Marine Corps Air Station Yuma. Mr. Saltzer is looking forward to serving on the Board with the goal of approaching airport business in a sincere, calm, and professional manner. His logical decision making will contribute greatly to the Board. "As a pilot and aircraft owner based in Yuma, I've long been very interested in promoting both commercial and GA aircraft in Yuma." Mr. Jones joined the Board in January 2016. In January 2018 Mr. Jones was elected to serve as the Airport Authority Secretary. He attended the University of Arizona, as well as Arizona Western College, Grossmont Community College, and San Diego State University. Mr. Jones is a licensed Arizona surplus lines Insurance Broker and a licensed US Customhouse Broker with a National license designation. Mr. Jones has been married for over 50 years to his college sweetheart Janet. They have two wonderful children: Shelley Jones Mellon and Eric Jones, and have four grandchildren. 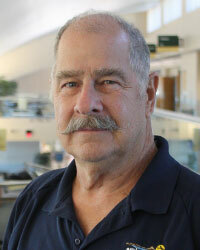 Mr. Jones is an active community leader that is well known throughout Yuma County. He is proud of the multi-generation family business R.L. Jones Management Group, in which he is the President and CEO. He has taken on many roles in the public sector and is currently very involved in several private sector planning and development projects. Mr. Jones is currently serving as an Arizona Power Commissioner, appointed by Governor Brewer, and on the Arizona Mexico Commission by appointment of Governor Ducey. In addition, Mr. Jones currently serves on the board of directors for the Border Philanthropy Partnership, the Arizona Heritage Alliance, the Arizona Sonora Desert Museum, the Smart Border Coalition, and the Arizona Community Foundation of Yuma. Mr. Jones is also the Chair of the Border Trade Alliance. Mr. Jones has an extensive list of community organizations he supports and proudly served as the Arizona State Representative for District 24 in 2004-2006 and 2010-2012. During his time in the State Legislature, Mr. Jones was the Vice Chair of the Natural Resources and Agriculture Committee, the Transportation Committee, the Military Affairs Committee, the Appropriations Committee, and the Joint Legislative Budget Committee. Mr. Jones is known for his organizational leadership skills, extensive background and solid business practices, the Board of Director was thrilled to have him as a part of the airport team. Mr. Jones is excited to participate and be an advocate for the General Aviation community, as he has over 35 years of multi-engine and instrument rated private pilots experience. Additionally, Mr. Jones would like to see aviation excel in our community as well as expand services on the airfield and at the airport. "Yuma airport represents a unique entity among airport. It is a privilege to contribute in a positive role toward the continual commercial development of the airport, to promote growth in general aviation, and to foster a strong productive and cooperative relationship with the military side of the house and airport." 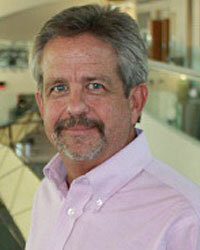 Dr. Cullen served on the Yuma County Airport Authority Board of Directors from 2009 through April 2011. He was then re-elected to the Board again in March 2014. Dr. Cullen earned his Bachelors of Arts in Biology from the University of Louisville and continued on at Louisville completing his studies as Doctor of Dental Medicine. He Completed residency in Pediatric Dentistry at Mott Children's Health Center in Michigan in 1980. He is a member of CRS Cleft Palate/Lip Tear at Yuma Regional Hospital, the American Dental Association, the American Academy of Pediatric Dentistry, the Arizona Dental Association, the Arizona Pilots Association and the Baja Bush Pilot's Association. He is the Past President of Yuma High School Booster Club and past President of Yuma Catholic High School Booster Club. Dr. Cullen is one of our frequent flyer general aviators and loves flying when he is not busy with his dental practice. Being a pilot gives Dr. Cullen, as a Board Member, the opportunity to be an advocate for General Aviation throughout the Boards' decision making process as they further develop Yuma International Airport. His military experience, education background, experience building and running a private practice as well as his knowledge through years of flying make a positive contribution to the Board. Dr. Cullen believes cities that have airports have an economical, commercial and political advantage. They provide services for the community and generate revenue through airport facilities as well as partnerships. Dr. Cullen enjoys working with the other Board of Directors and the airport staff which is a vital link to Yuma's growth and development. Mr. Fox joined the Board in January 2018. He graduated with a degree in Economics from Emory University in Atlanta, GA. Mr. Fox later received his J.D from the Thomas Jefferson School of Law in San Diego. He is currently an attorney at the Yuma County Office of the Legal Defender, and has been in Yuma for the past 11 years. Mr. Fox's first experience with the airport was in the 1990's when he was a CSR for Mesa Airlines, selling tickets and moving luggage. He moved to Los Angeles and then San Diego where he worked as a middle school teacher for several years. Eventually he worked at the San Diego Air and Space Museum in the Education Department, teaching children and adults about aviation and space flight. 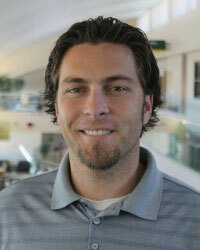 After getting his JD, he returned to Yuma, and is pleased to be a member of the YCAA Board of Directors. As a private pilot, he is interested in general aviation and making the airport more accessible to everyone, and believes that his experience working at the airport gives him additional insight into the airport's needs. "My aviation experiences and the evolution of airspace management, facility improvements and the changes to the National Airspace System gives me insights and knowledge to help Yuma (NYL) become the best 21st century facility that it can be. I will represent the Board and its goals to the maximum of my abilities." 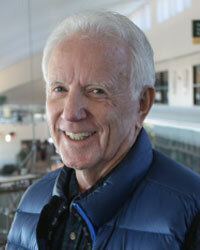 Mr. Gourley joined the Airport's Board of Directors in 2011. Mr. Gourley served in the US Army as a Warrant Officer, was an Army Aviation Safety Officer, and retired in 2008. He attended courses at the University of Southern California on helicopter accident investigation, and through AAAE professional development training on signage, Aircraft Rescue and Fire Fighting, construction oversight and funding. He also attended the United States Army Installation Management Command conferences on airport and airspace management. He earned a US Army Corps of Engineers certificate on pavement evaluation and repairs as well as a Defense Contract Management Agency rating for Aviation construction/service contracting oversight. Since 1968, Mr. Gourley has flown helicopters and airplanes in both the civilian and military arena and prior to his last retirement had over 40 years of aviation experience. At Yuma Proving Ground he served for ten years in airfield management, over ten years as a Yuma County Juvenile Court Hearing Officer, and over fifteen years as a Yuma County 4-H Shooting Sports Project leader and Certified Volunteer. He is also the President of the National Active Retired Federal Employee organization. 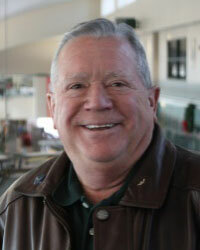 Mr. Gourley earned his commercial rated pilots license in 1971 and loves serving the Yuma community. His proactive approach, honesty, willingness to help people, finding cost effective alternatives, and ability to resolve issues makes him an effective member of the Airport's Board of Directors. Mr. Gourley is motivated and excited to meet the needs of the airport, meet the goals of the Board, focus on sustainable facilities, and meet the demands of the community. Mr. Gourley knows the airport's diverse contribution may have hidden benefits and impacts to the average person and believes that aviation is a valuable mode of transportation for both leisure and business users. Mr. Craft joined the Board in January 2019. He has a Master of Business Administration (MBA) from Webster University of St. Louis, Missouri. He is active in the community. He is a Past President of Yuma Sunrise Rotary, the Past Chairman for Housing Authority for the City of Yuma (HACY), a former Commissioner on Airport Board of Directors and has served as Past President of Big Brothers, Big Sisters of Yuma. He has served as a Councilman for the City of Yuma and former Deputy Mayor. He currently serves on the Merit Board for the City of Yuma and on the Public Safety Personnel Retirement System (PSPRS) for the Police and Fire Retirement Board. He is the Sales Manager at Academy Mortgage and I have been in the mortgage business for 20+ years. He started his career with a Mortgage broker and spent the rest of his career as a mortgage banker, ultimately becoming the Branch Manager. As a member of the U.S. Marine Corps, he had the opportunity to be stationed at MCAS Yuma and eventually retired in Yuma after a 20-year career serving his country. Following his military career, he began working for Wells Fargo Home Mortgage where he obtained the position of Branch Manager. After over a decade in that position, he transferred to the Wells Fargo Business Banking Group where he worked closely with local Yuma businesses and their finances. In 2016, he retired from Wells Fargo. A year later he realized that he did not retire well and started back into the mortgage industry with Academy Mortgage. While residing in Yuma, Mr. Craft met and married my wife Loire, of 24 years. Between them they have three grown children, Stephen, Gregory and Sarah and one recently added granddaughter, Sawyer. "The movement of people and goods are important to any community. The biggest impact that aviation has on Yuma and its economy is the benefit from having the shared use airport - with MCAS." Mr. Matheus joined the Board in January 2014. Mr. Matheus has a B.S. in Agricultural Economics from the University of Arizona and a M.B.A with an emphasis in Health Administration from Arizona State University. He is proud to be from Yuma; attending James B. Rolle Elementary, Gila Vista Junior High, and Kofa High school. Mr. Matheus is a member of the Yuma Rotary Club, Yuma Executive Association, the Yuma Chapter of the University of Arizona Alumni, and serves on the Governing Board of the University of Arizona Alumni Association. He transitioned into a new position in 2004 as a Commercial Real Estate Agent for A.T. Pancrazi Real Estate Services. Prior to joining A.T. Pancrazi, Mr. Matheus worked in and provided support services in the health care system for over 15 years. Mr. Matheus has been surrounded by aviation for many years and spent time around Fixed Base Operators (FBOs) on the airport serving as the Vice President with Sun Western Flyers from 2000-2004. 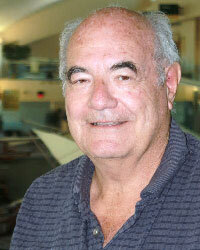 Encouraged by past Board members, Mr. Matheus enjoys his time on the Airport Authority Board. Mr. Matheus is known for being people oriented, social, helpful and a mindful professional. He is motivated and excited to learn more about the business of airport operations, to promote the airport, and be part of an important industry which will help Yuma's economy. Mr. Matheus believes airports are important not only for the movement or transportation of people but also goods/products. ?I have grown up around airports and have had previous experiences as an air tanker base manager at different airports. I believe the airport is a critical component of an areas economic development can create employment opportunities.? Mr. Nelson joined the Board in January 2015. He has a Bachelors of Science in Business Administration from Northern Arizona University and a Masters in Business Administration from Webster University. 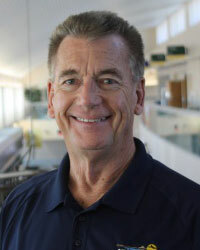 Mr. Nelson is a member of Yuma Executive Association, Arizona Association of Economic Developments, and Arizona Small Business Development Center Network. He is also a member of Yuma County Chamber of Commerce, San Luis Chamber of Commerce, Somerton Chamber of Commerce and Parker Chamber of Commerce. Mr. Nelson is the Director of the Arizona Western College Small Business Development Center and was the Economic Impact Counselor of the Year in 2015. Deeply involved and connected with the economic growth and success of local businesses throughout Yuma County, Mr. Nelson understands the importance of having commercial air service, aviation facilities and services for any city. Being the son of a Chemist who created a fire powder released from aircraft, he spent a lot of time in small planes traveling and working alongside his father. As a regular business and leisure air traveler, Mr. Nelson became more interested in joining the airport?s Board of Directors with every flight from the airport. His wealth of knowledge and experience in social media has proven invaluable for airport staff and its social media campaign launches. His experience, great ?can do? attitude, and willingness to participate wherever needed is appreciate by all. Mr. Nelson is known for being goal orientated, listening more to keep up with professional development, someone colleagues can lean on, and being resourceful while applying practical application for purpose. He is excited to work with the Board and Airport staff in a professional setting to address the transportation challenges. Mr. Nelson is looking forward to recruitment, retention and attracting more airport business in the future in order to better serve our community and grow Yuma.